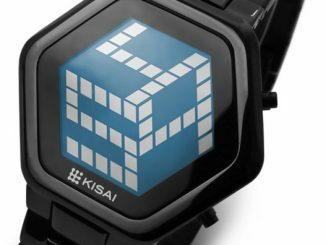 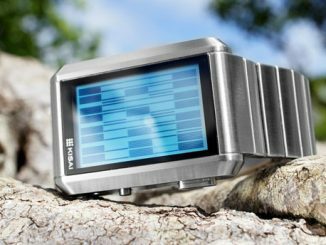 The Tokyoflash Kisai Optical Illusion Watch is a lot like optical illusion pictures and may require a little training to read the time without using the visual aid. 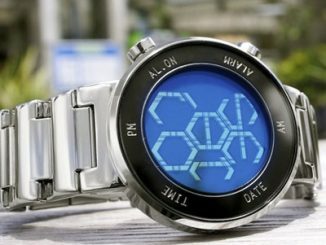 But once your eyes know how to see the time through the optical illusion, you’ll be able to have some fun at the expense of anyone that may ask you for the time….if you have trouble reading optical illusions, a simple touch of the screen will clearly display the time for you. 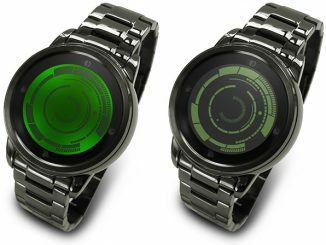 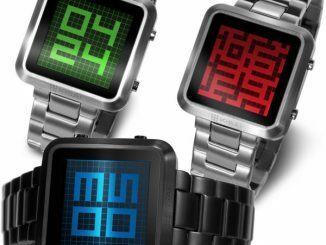 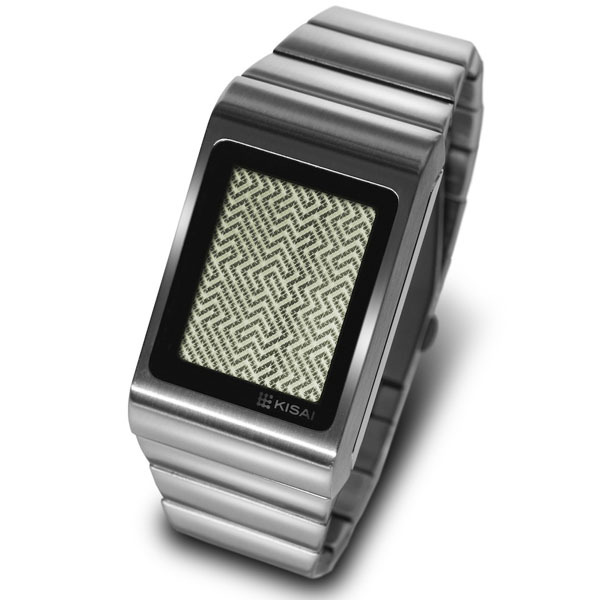 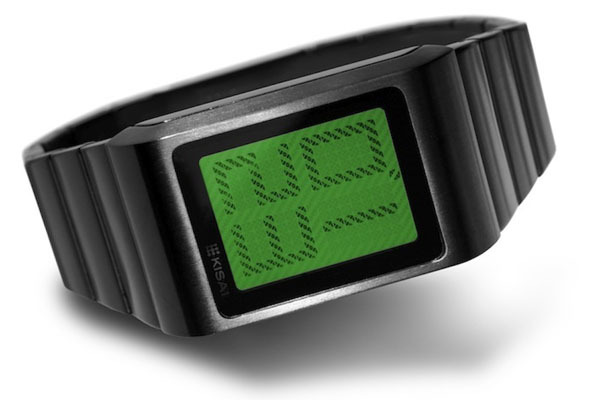 Available in black or silver with a green or natural colored LCD face, this stainless steel watch features touch screen technology and an animation mode that allows the watch to automatically transition between optical puzzle mode and digital time mode every 20 seconds. 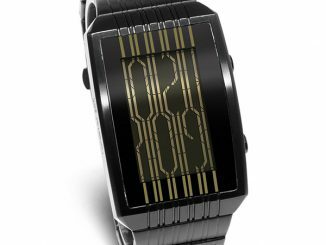 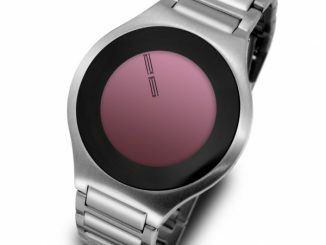 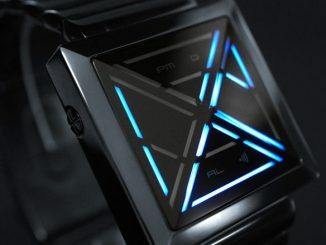 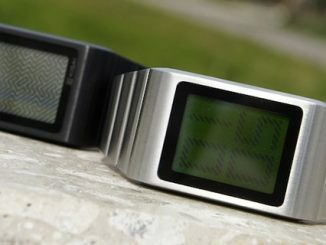 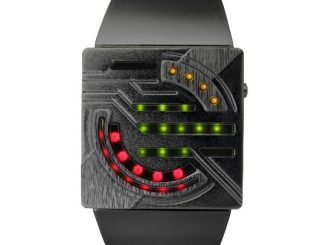 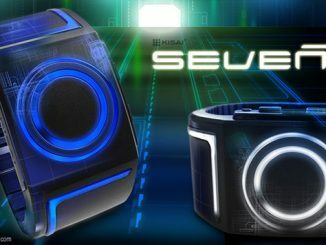 You can purchase the Tokyoflash Kisai Optical Illusion Watch at Tokyoflash.com for $199.